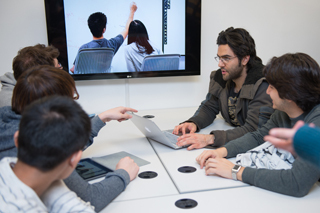 What served last fall as a launch pad for the nation’s first-ever Med AppJam is now a schoolwide resource for Bren School of ICS majors. 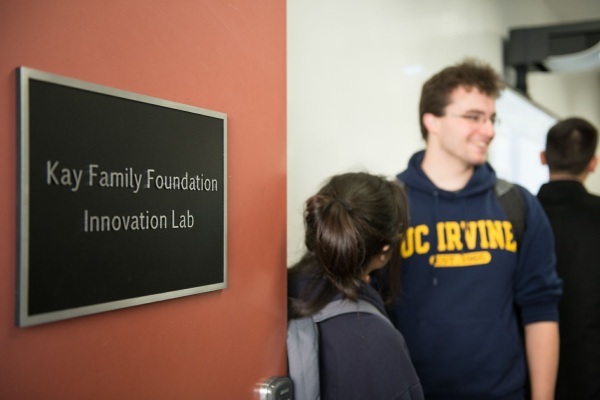 Kay Family Foundation Innovation Lab — featuring Apple TVs, a PolyVision smartboard, and MacBook Airs and iPads available for checkout by students — is the first of its kind on the UC Irvine campus and was specifically designed to encourage teamwork. Students, faculty, staff, alumni and supporters attended the event, which included remarks by Stern and members of the ICS Student Council. 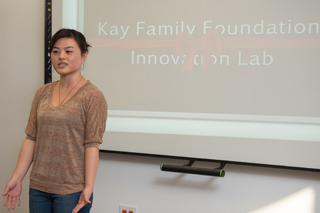 ICS Student Council vice president Audrey Auyang offered welcome remarks at the Kay Family Foundation Innovation Lab grand opening event. 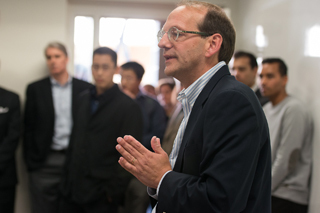 Dean Hal Stern thanked Kay Family Foundation representatives for their support of the Bren School and its students. 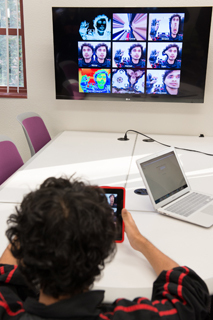 Students congregated at one of five collaboration stations to try out the lab equipment. 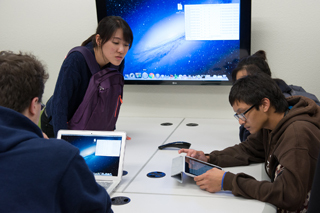 Bren School students may check out iPads and MacBook Airs available through the lab. 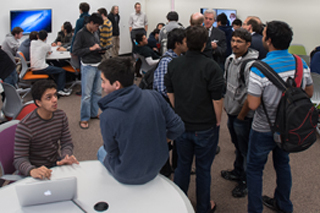 The grand opening event drew a crowd of students, faculty, staff and friends.